Nabina Das, a 2012 Charles Wallace Fellow in Creative Writing, University of Stirling, UK, and a 2012 Sangam House Lavanya Sankaran Fiction Fellow, India, has a debut poetry collection Blue Vessel (Zaporogue Press, Denmark) and a novel Footprints in the Bajra (Cedar Books, New Delhi). The latter was longlisted in the prestigious Indian prize "Vodafone Crossword Book Award 2011". Her second poetry collection Into the Migrant City, the product of an Associate Fellowship and residency with Sarai-CSDS (New Delhi) in 2010, is forthcoming soon from Writers' Workshop, India. Nabina’s poetry and prose have been published in several international journals and anthologies, the latest being Prairie Schooner, The Yellow Nib: Modern English Poetry by Indians (Queen’s University, Belfast). Nabina is also a literary columnist to Prairie Schooner and is in the peer review committee of The Four Quarters Magazine literary journal published from Northeast India. 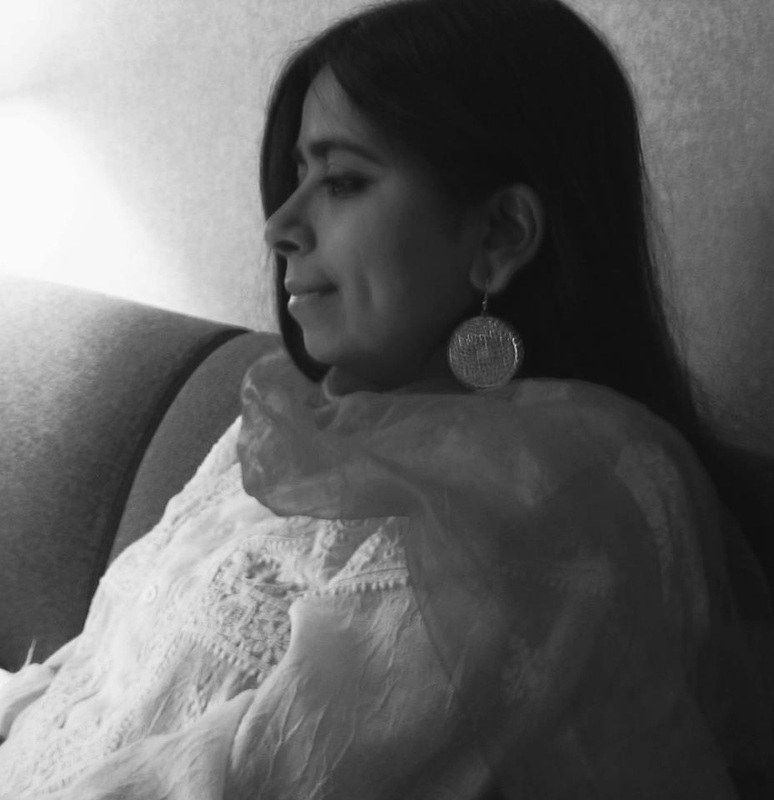 An MFA (Poetry) from Rutgers University, US, and MA (Linguistics) from Jawaharlal Nehru University, Delhi, Nabina has won prizes in major Indian poetry contests. Blue Vessel is available here. Where she talks about her life, writing in general, her recently released poetry collection- Blue Vessel, MFA experience, and, to top it all, her favourite ice cream flavour! Vayavya: Describe a day in your life. Nabina: Right in the morning write one line of poetry or fiction, sometimes even just a word. Then have breakfast, then read, then family time, then work/editing/writing for a few hours now that I've given up full-time journalism, and then go see what folks on social networking are taking about. My day is not a very structured kind. So none of the above is in that particular order other than the breakfast! Vayavya: What else do you enjoy apart from writing? Nabina: Reading, traveling, and eating. Cinema. Vayavya: Who are your favourite writers and poets? Any recommendation(s)? Nabina: There are just too many to name. These days I'm trying to find translations and read more of Caribbean writers of fiction and nonfiction. For poetry, I'm interested in Dalit writing that a friend is translating from Telugu, as well as in Latino poetry in the US. For the latter category, I was recently introduced to Lorna Dee Cervantes by a friend, and I've been already reading Martin Espada for a while. Vayavya: You are one of the few writers from India who have an MFA in Creative Writing. Tell us more about your MFA experience. Nabina: MFA does not make one a writer. It is a professional degree that may help in finding a creative writing teaching job. Otherwise, it offers excellent opportunities to network, share and receive feedback on writing, and make solid friends and enemies for life around one's writing philosophy. That's not as bad as it may sound. Basically, strong critics and cheerleaders. Vayavya: What do you do when you are ‘blocked’? Nabina: I call it laziness. Perhaps, distraction. But I don't believe in the "block". It's surprising how one can put all that aside by just writing one line or word first thing in the morning. That can trigger several ideas for writing. Vayavya: Your poetry collection has been published quite recently— Blue Vessel; tell us something about it. Nabina: BLUE VESSEL is a short collection published by a small press from Denmark called Le Zaporogue. Sebastien Doubinsky, its editor, is also a well known French-English writer and poet. Blue Vessel was named as one of the best poetry books of 2012 in India by poet Sudeep Sen. The title signifies these are poems from my wandering sensibilities -- poems of sailing. In an imaginary ship or in a tea cup! Vayavya: Any project(s) you’re currently working on? Nabina: My longer poetry collection from Writers' Workshop and my short story collection from LiFi Publications. Besides, I'm looking for Creative Writing teaching opportunities in universities and workshops. Vayavya: Very quickly, the city you think acts as a better catalyst to your writing— Hyderabad or New Delhi? Nabina: I have a longer association with Delhi and have incorporated its blithe heart as well as its meanness in my writing. I am new to Hyderabad as a resident but I like its welcoming spirit. The cuisine and the bonhomie I encounter among people are a plus point. But all places work well as catalyst for me, as long as I have my writing corner and my laptop. I can write in a busy airport lounge or on a bus. Vayavya: Medium you feel more at ease with— poetry or prose? Nabina: I call myself a poet first but not to discriminate between Fiction and Poetry. I see the ability to write good fiction as an ability to understand or write good poetry. Vayavya: Lastly, your favourite ice-cream flavour. Nabina: What! Writers don't eat icecream. No, I'm kidding. I don't eat much icecream actually. I guess something like coffee-caramel flavor appeals to me, for I'm a coffee lover.